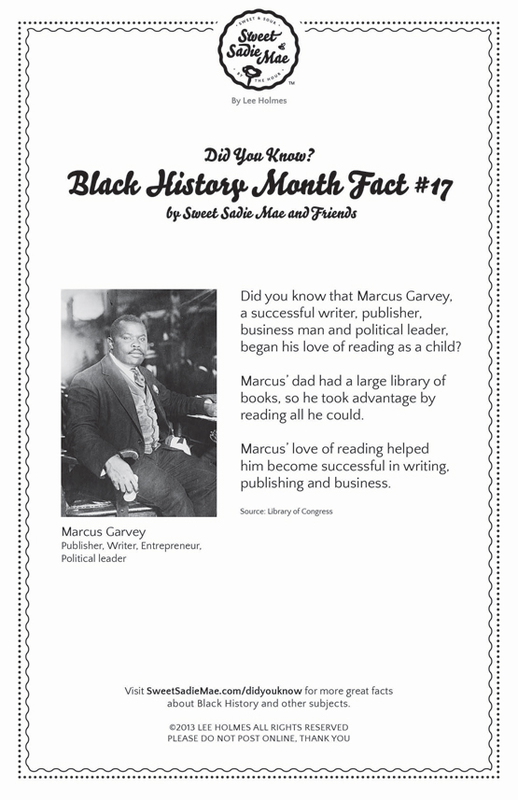 Did you know that Marcus Garvey, a successful writer, publisher, business man and political leader, began his love of reading as a child? Marcus' dad had a large library of books, so he took advantage by reading all he could. Marcus' love of reading helped him become successful in writing, publishing and business.